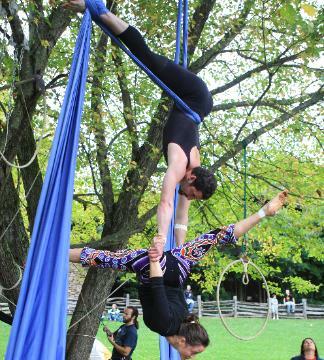 Asheville Aerial Arts Open Auditions on Nov 10th! The Asheville Aerial Arts are looking for supportive, non-competitive artists of integrity to join their aerial family. Membership dues $50 monthly covers open workouts and 2 rehearsals weekly. We perform and teach at various events. Should have a demonstrated history of discipline and commitment to the arts. Knowledge, strength, balance and flexibility are equally important. Must be 18 years of age and have health insurance (beginning 5/11). This is something that you can train and get involved with~ so if you are interested please do come on out! Who is Asheville Aerial Arts? Asheville Aerial Arts is a group of performing artists that perform, practice, and explore many types of aerial arts. We are artists, spotters, trainers, directors, make-up artists, photographers, and administrators that are striving to bring aerial acts to the forefront of the arts community. The troupe formed March of 2007 debuting at the Patron Party Frost for the Asheville Arts Council’s White Ball in June of the same year. Beginning immediately, their growing popularity soared amongst organizations and individuals hiring the troupe for public and private performances as well as aspiring performers interested in joining the company. 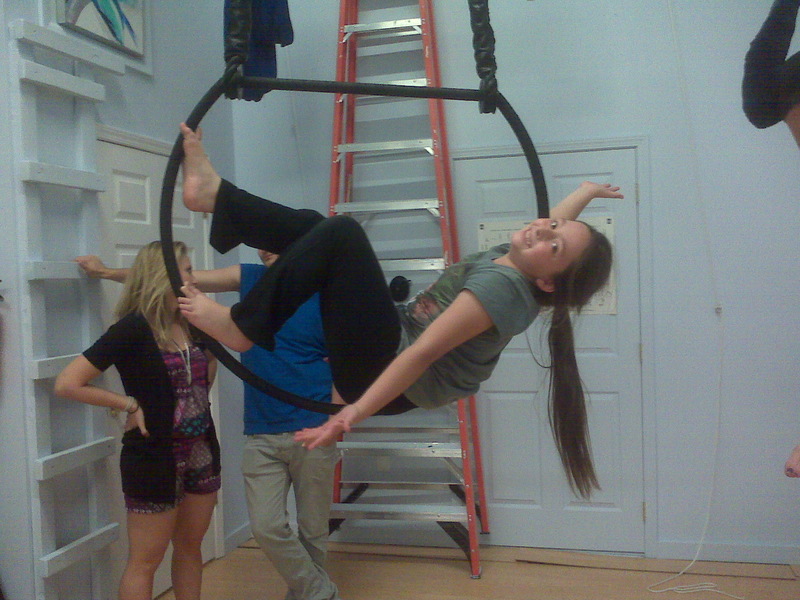 Asheville Aerial Arts has continued to grow and foster under its Artistic Director and Founder, Christine Aiken. Members of our troupe have trained and performed all over the world and are diverse in their performance style. More information is available about our troupe, staff and performances at http://www.ashevilleaerialarts.com. 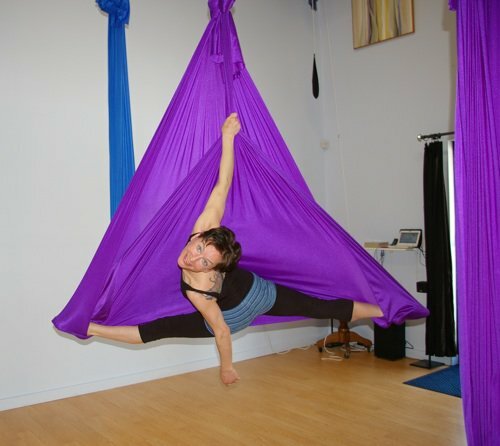 Asheville Aerial Arts is based out of Aerial Space. 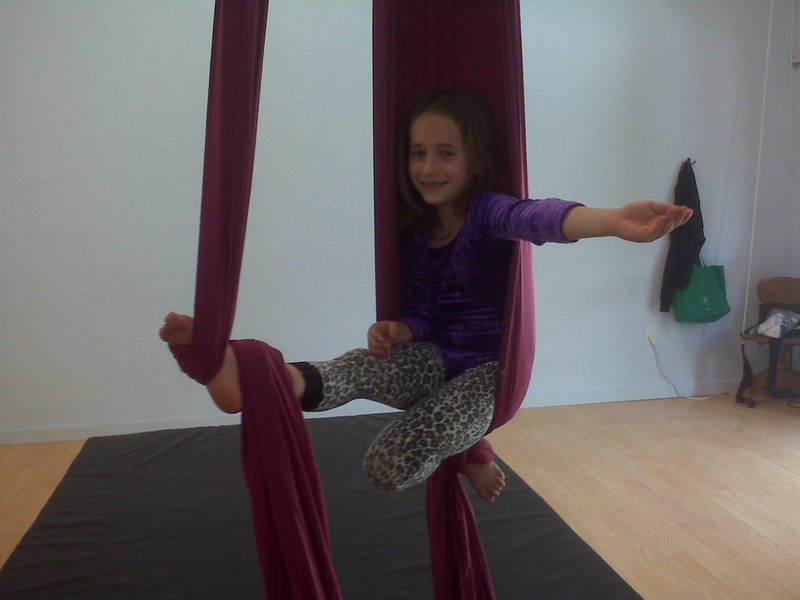 More information on our home studio can be found at http://www.aerialspace.org. 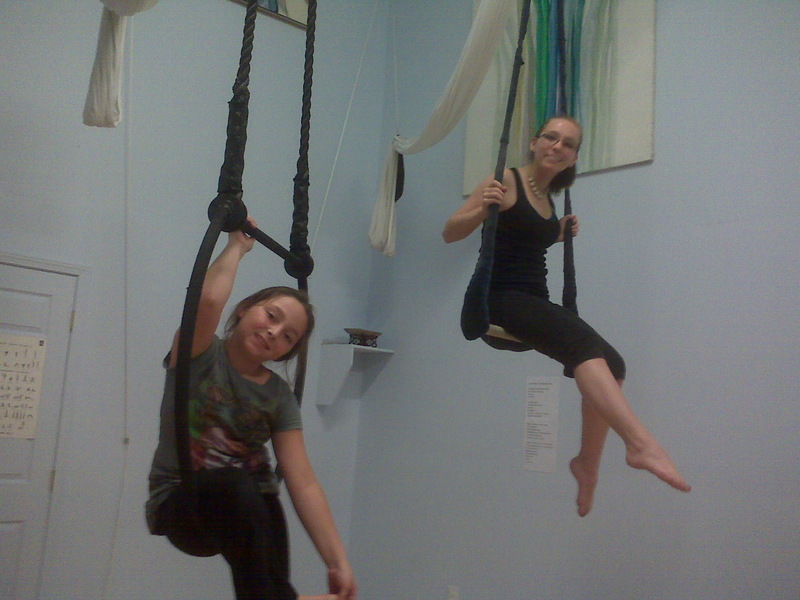 What does Asheville Aerial Arts do? 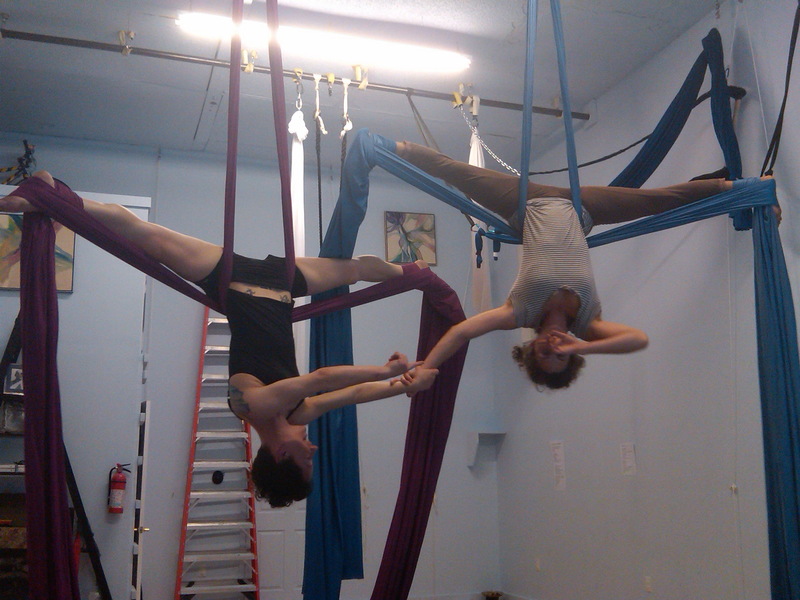 Asheville Aerial Arts is available for performance and instruction bookings. We individualize each event to coordinate with your event theme including aerial apparatus acts in silks, sling, lyra, spanish web and trapeze. We perform at large functions, private parties, fund raisers, schools, festivals, and theatre performances. Our aerialists are professional performers, each with their own unique aerial arts style and skills. We are continuing to develop our skills and repertoire through aerial workshops, rehearsals, recruiting, and experience. We are available to perform for a variety of events and functions. Your guests will be astonished and intrigued by our aerial acts. Rarely will you find a more versatile form of entertainment to compliment your party, performance, or event. Each performance is customized to accomplish your visual goals in the venue of your choice. The cost is calculated based on the type, duration, magnitude, and scope of the event. Find Asheville Aerial Arts on Facebook and Twitter.